Are you looking for contract cleaning services in West London? Have you ever been disappointed by a cleaning company and left without any notice? Do you want to ensure the cleanliness of your commercial property no matter what? Do you want to maintain its spotlessness for a longer period of time? If this sounds familiar our contract cleaning services will really suit you. Those people who have been left behind by their company without any prior notice and those who haven’t experienced quality and satisfactory services from their past service provider will greatly benefit from our kind of service. We are one of the most trusted providers when it comes to providing a reliable service. We have already proved our honesty and dedication to thousands of clients throughout the years. We are highly respected due to our unfailing track records. 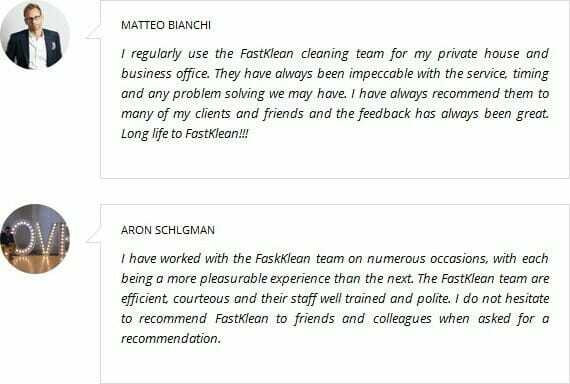 FastKlean committed to providing you dependable and satisfactory services at affordable and low prices find out more. We provide these services in a very affordable and competitive package without any hidden charge and anomalies. These services are carried out by our professional contract cleaners. They are well-trained and expert in handling different kinds of cleaning requests and are active and fast in responding to your cleaning needs and each has the capability to provide a quality and flawless service even in a short period of time. If you have any queries regarding our services and rates, you can call us at 020 8884 9149 and we will immediately respond to your call.